Sweetness is classically considered a single perceptual experience. However, diverse compounds can elicit this sensation, suggesting the existence of multiple pathways toward this end. This paper presents an overview of chemical theories of sweetness, reviews the phylogenetic and behavioral evidence for multiple pathways, and presents a summary of recent molecular advances regarding the sweet receptor. Potential sites for signal integration are discussed, and implications for nutritionists and food scientists are presented. 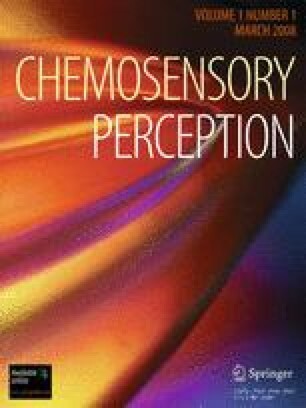 The author wishes to thank Valerie B. Duffy, Linda M. Bartoshuk, Terry E. Acree, and the anonymous reviewers for their thoughtful comments on earlier drafts, and the Pangborn Sensory Science Scholarship Fund for their generous financial support. Freeman KB, Riley AL (2005) Conditioned taste aversion: an annotated bibliography. http://www.ctalearning.com.